Empoli vs Frosinone predictions ahead of this Serie A clash on Sunday. Who will win this clash at the bottom? Read on for our match preview and free betting tips. There’s a massive relegation six-pointer in Serie A this weekend, as Frosione head to Empoli. The hosts are narrowly outside the bottom three, while they’re searching for another result at home. 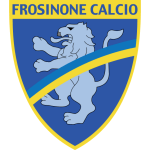 However, they are hosting a Frosinone side who have picked up all of their wins on the road this season. The visitors will come here looking to claim three points, but they’re unlikely to edge a narrow game. The visitors should get involved in a high scoring clash in this visit to the Azzurri, as Frosinone look to boost their survival hopes. Empoli have boosted their hopes of survival with some strong home form. They come into this clash with 82% of their league points coming at home. The Azzurri have scored the majority of their goals at this ground too, but they’ve still failed to win in nine of their 14 matches at their own ground. They are currently just about on course to avoid an immediate return to Serie B, but could their fellow promoted side derail the Azzurri’s hopes of staying in the top flight? Frosinone have picked up solid results on their travels this season, with 71% of their points coming away from home. That sets up an interesting clash, between two sides fighting for survival who are in their element here. Can the visitors make the most of another away trip, or will they come up short against a high scoring Empoli side? History does suggest that the visitors can cause problems in this clash. Frosinone have scored at least two goals (2.3 on average per match) in all three of their Serie A matches against Empoli. Empoli’s poor defence could see them concede more here, having let in eight goals across their last four Serie A home matches. They have shipped the joint-highest number of goals in the league this term, just two fewer than Frosinone. The hosts have at least got a solid scoring record, hitting 22 goals in 14 home matches. Both teams have found the back of the net in 17 of Empoli’s last 19 league games, with 3.8 goals scored on average per match (72 in total in this period). 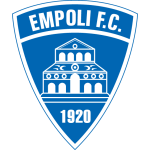 Empoli have seen over 2.5 goals in 17 of their last 19 league games, with it landing in 70% of their matches overall. There’s every chance of a decisive late rally in this one, which could boost the scoreline. Only Parma (22) have conceded more goals in the last 30 minutes of Serie A matches than Empoli (20) and Frosinone (19) this season. As a result, we see this one finishing with over 2.5 goals scored, while we’re backing these two sides to share a 2-2 draw on Sunday. Empoli have won just one of their last 12 Serie A meetings (D3 L8). Frosinone are unbeaten in four of their last six Serie A away games (W2 D2). Empoli have trailed in 22 of their 27 Serie A matches this season – more than any other side in the league. Camillo Ciano has been directly involved in 50% of Frosinone’s league goals this season (10/20) as well as six of Frosinone’s 11 goals on the road (5 goals and 1 assist). Daniele Ciofani has scored two of his three league braces against Empoli – additionally, he netted four goals in his three Serie A games against Tuscany-based teams this season. Empoli’s Diego Farias netted once against Frosinone when the two sides last met in Serie A in December.